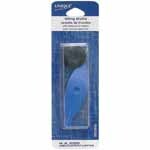 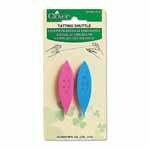 CLOVER 8101 - Large Tatting Shuttle 2pcs. 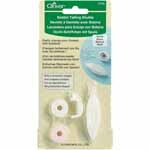 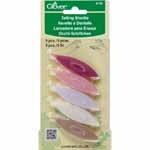 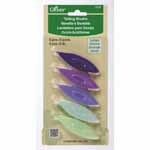 CLOVER 8105 - Bobbin Tatting Shuttle - White - 4pcs. 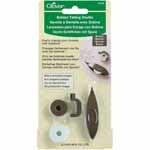 CLOVER 8106 - Bobbin Tatting Shuttle - Brown - 4pcs. 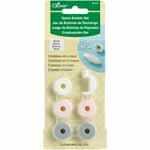 CLOVER 8107 - Spare Bobbin Set for Bobbin Tatting Shuttle - White - 6pcs. 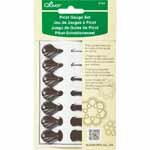 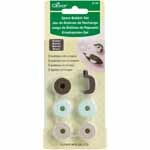 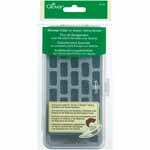 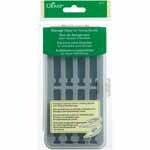 CLOVER 8108 - Spare Bobbin Set for Bobbin Tatting Shuttle - Brown - 6pcs.